One way to understand your family better is to do your genealogy. Learning about your ancestors can cause great benefits for your future family. It can bridge gaps and answer questions that have been misunderstood. It will truly bind your family together. We can break bad habits that have gone on for generations just because we did more research about where we came from. An effective way to get started on this is by doing a genogram. A genogram maps out each family relationship and can trace back to four generations. When we begin to understand where our family came from we can learn why we have certain traditions within our family. Families form culture. Think about some of the traditions you have within your own family. Do you have your “spot” at the dinner table? Or do you open presents on Christmas Eve? How our culture is formed can be caused by a variety of reasons. They can be influenced by our ancestors or be apart of our religion or beliefs. Does ethnicity play a part in culture? I sure think it does! However, it does not necessarily mean that I am forced to believe that culture is right, but it does influence the way I think. 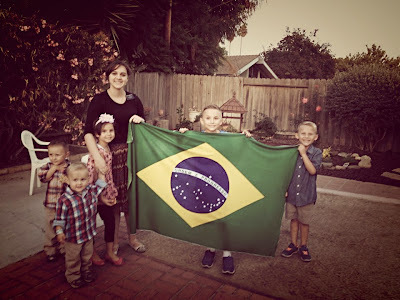 Growing up in a large Latino family and living in Brazil for several months has influenced the way that I do things and the way that I think. Latinos are loud and proud. But they also are loving and caring. I do believe that my religion has helped my family create a culture more centered on our faith rather than past traditions done by our ancestors. Although, our Latino heritage will always have an impact on us we have still decided to implement those traditions that we see most correct and impactful. Which leads to the question. Are all cultures equally valid? There are so many traditions that it seems almost rude to say that a certain type of tradition is wrong. But another important question I would ask is, how can we purify our culture? We do not have to do the things are fathers have done if it is morally wrong. There are many wonderful traditions and cultures around the world and we can learn so much from them. We should be practicing those traditions that are morally uplifting and that will have a positive impact for our future children and their children. Elder Dallin H. Oaks has stated, “It is well to worry about our moral foundation. We live in a world where more and more persons of influence are teaching and acting out a belief that there is no absolute right and wrong—that all authority and all rules of behavior are man-made choices that can prevail over the commandments of God. Many even question whether there is a God.” We should be constantly looking to become better and act for ourselves rather than to be acted upon. I love my family traditions because they are always evolving. We still practice many old traditional cultures but we do so in a positive uplifting manner where we can influence others to do good.